There are some pretty famous faces in the smoker's lounge. And they have some pretty questionable advice on voice care. 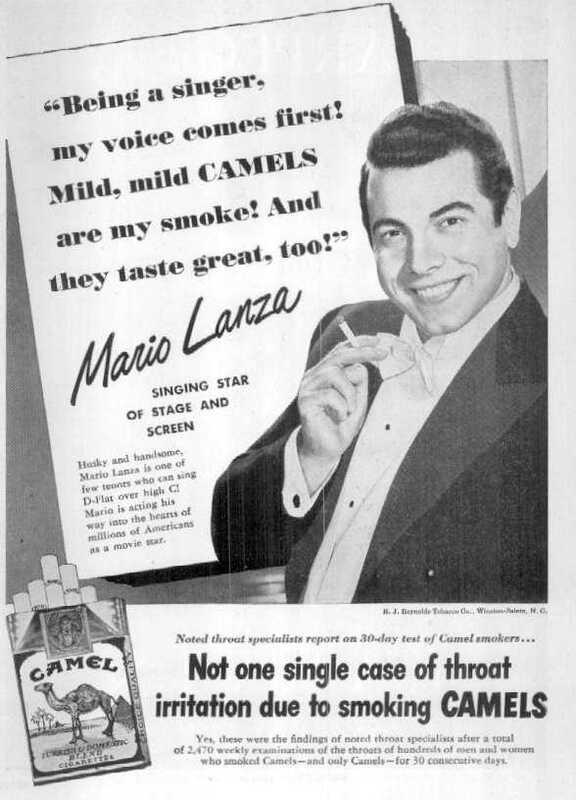 Mario Lanza made his name playing the great Caruso on film. Some even accused him of labelling himself the next Caruso. But there wasn't room, even in Hollywood, for quite that much ego. Click on the thumbnail to see how he maintained his world-class voice. 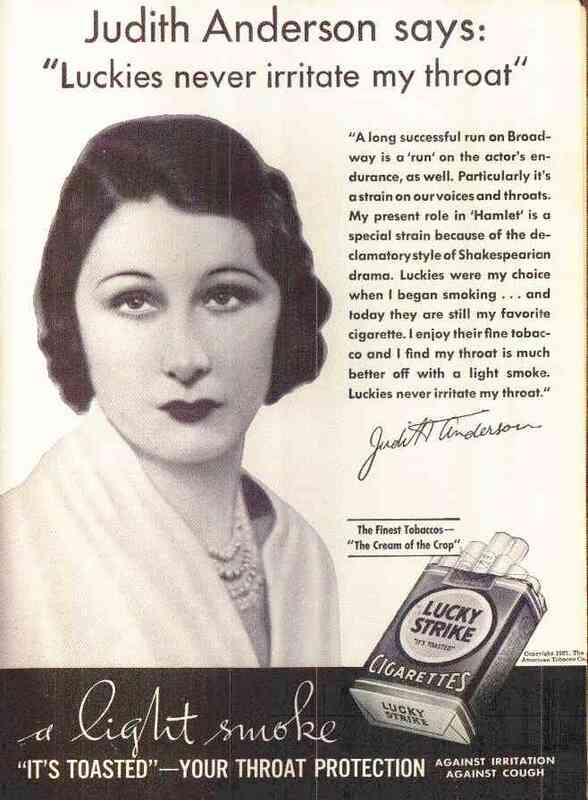 Dame Judith Anderson played all the great Shakespearean roles. She wowed the world with her "Medea." She projected strength. She projected courage. Most of all, she projected her voice. Click on the thumbnail to learn some of Judith's vocal secrets. New York's Cotton Club was a venue for some of the most talented and famous performers ever. But it also reflected a racially segregated way of life. 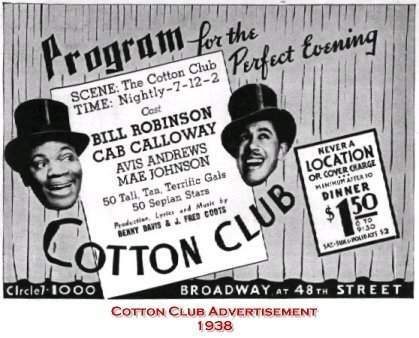 Here are some scans of original ads for the Cotton Club. This advertisement from 1938 features small pictures of Cab Calloway and tap dancer Bill "Bojangles" Robinson. And who can argue with the price of admission? 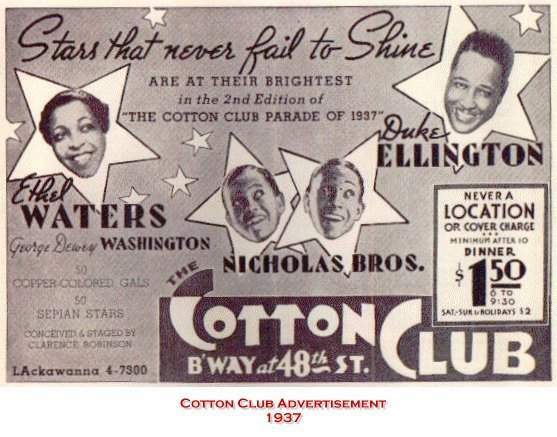 Here's a Cotton Club advertisement from 1937 that features small pictures of singer Ethel Waters, composer Duke Ellington, and the tap dancing Nicholas Brothers. 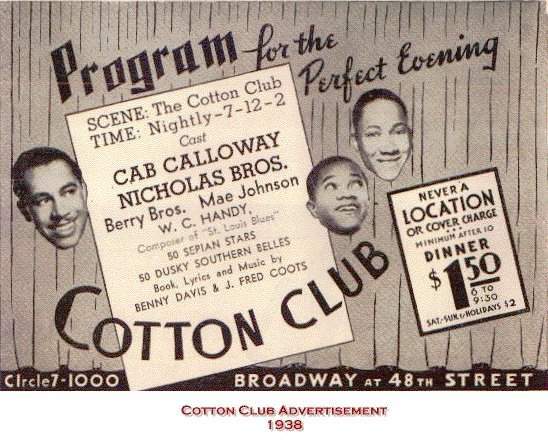 This is another advertisement from 1938 that features pictures of Cab Calloway and the Nicholas Brothers.